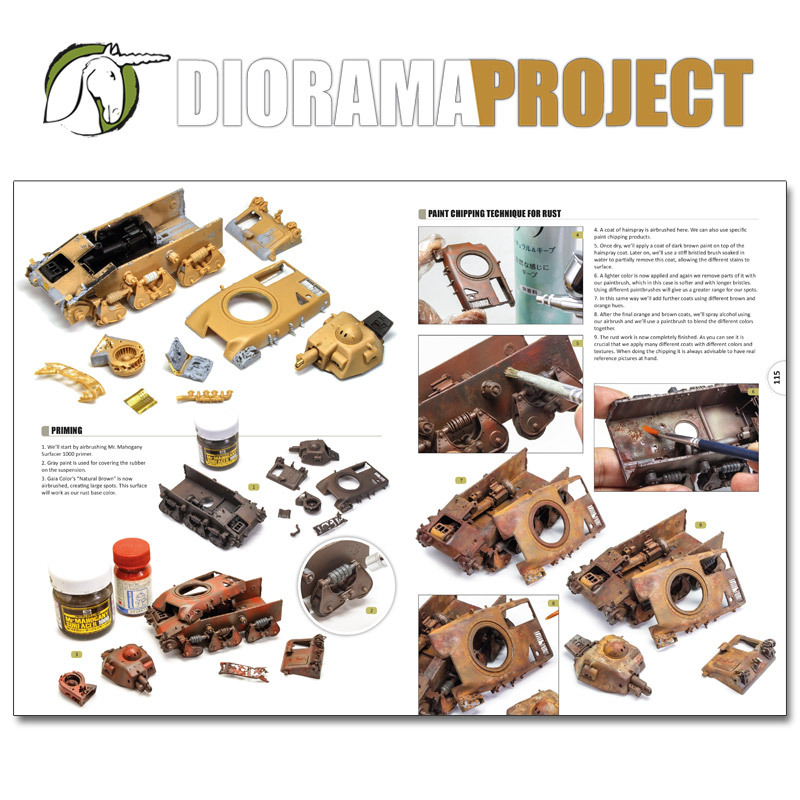 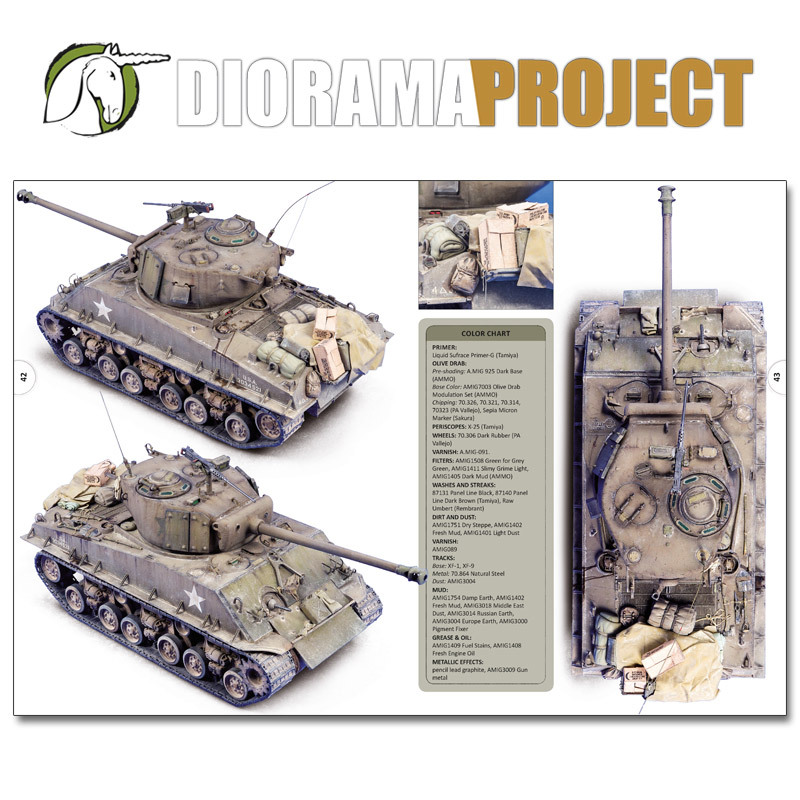 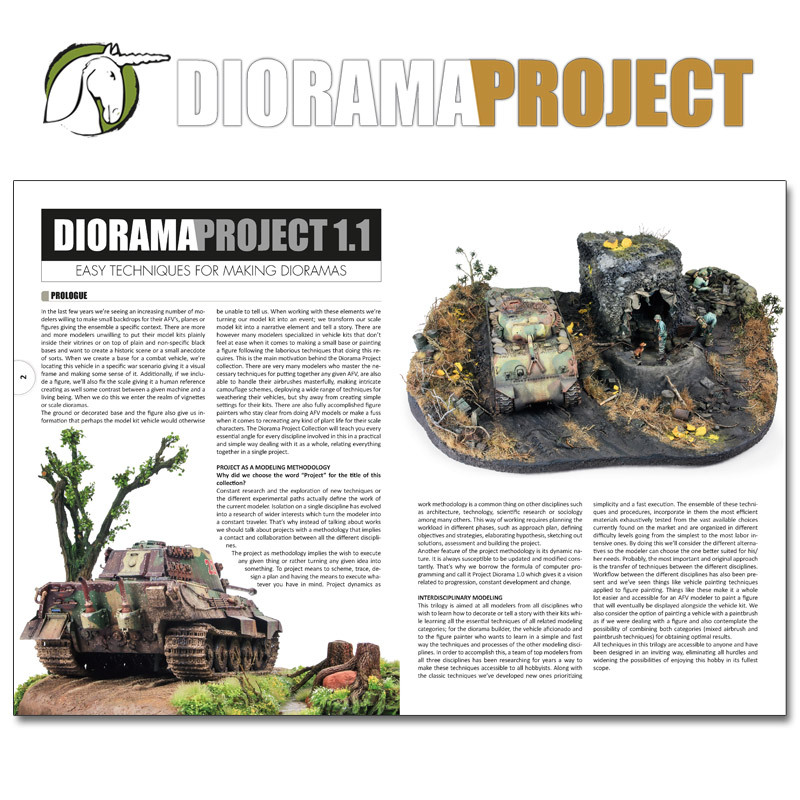 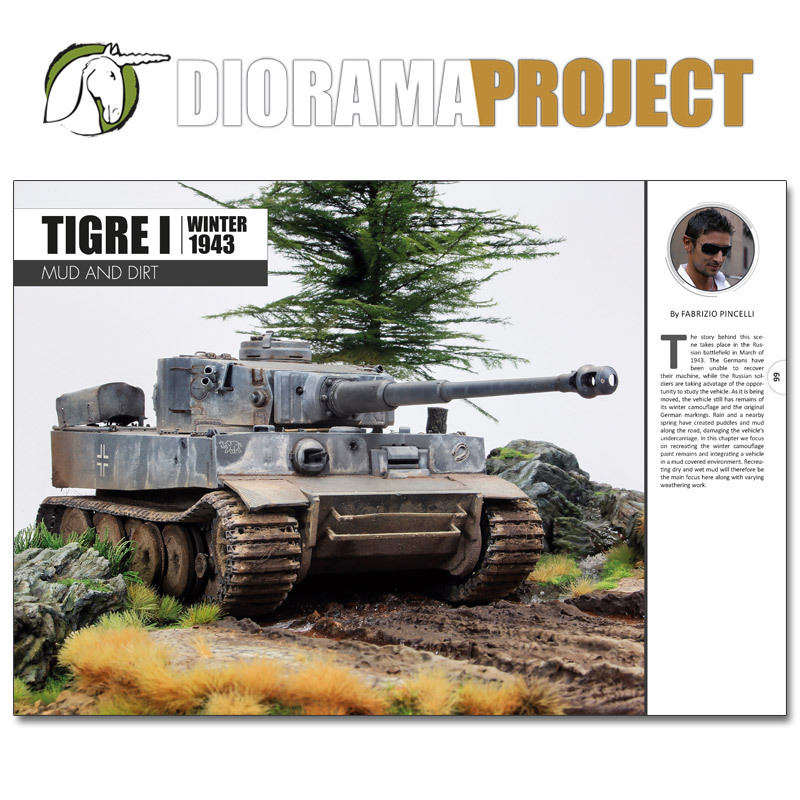 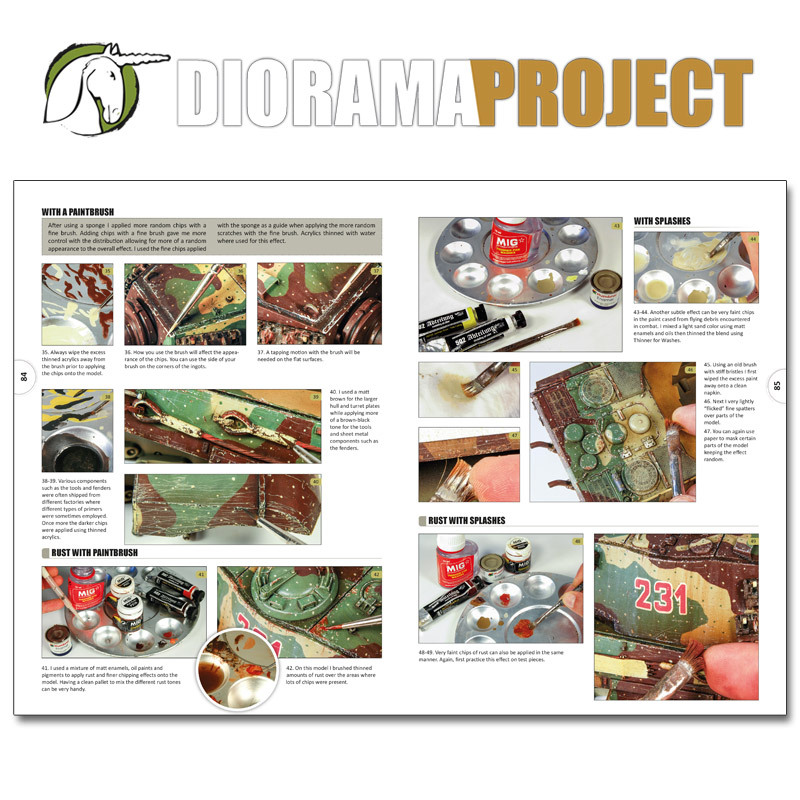 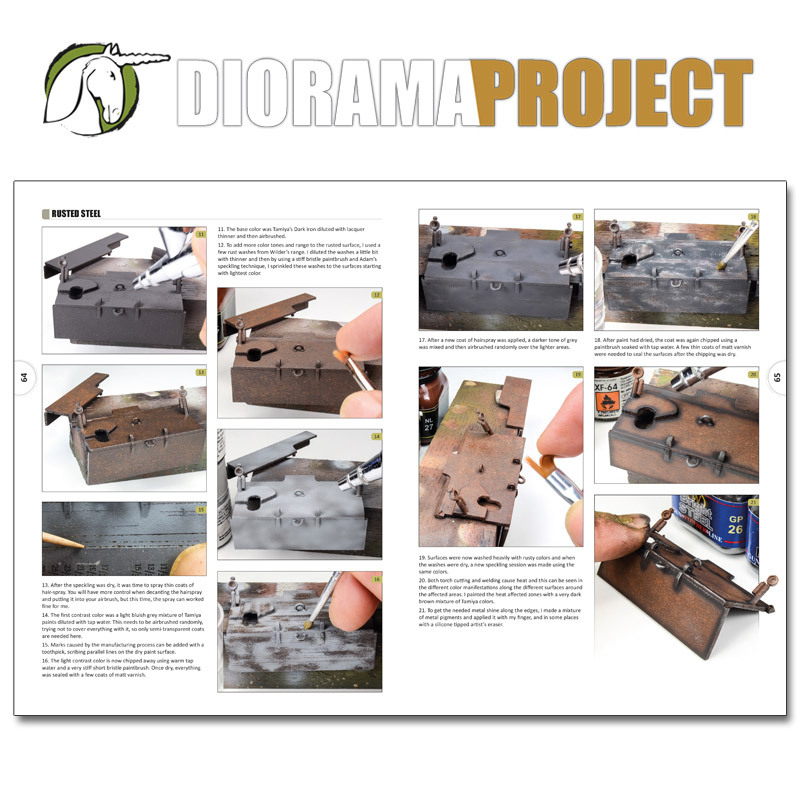 From the publishers of the three volume set Landscapes of War and Panzer Aces magazine comes a new four volume set DIORAMA PROJECT. 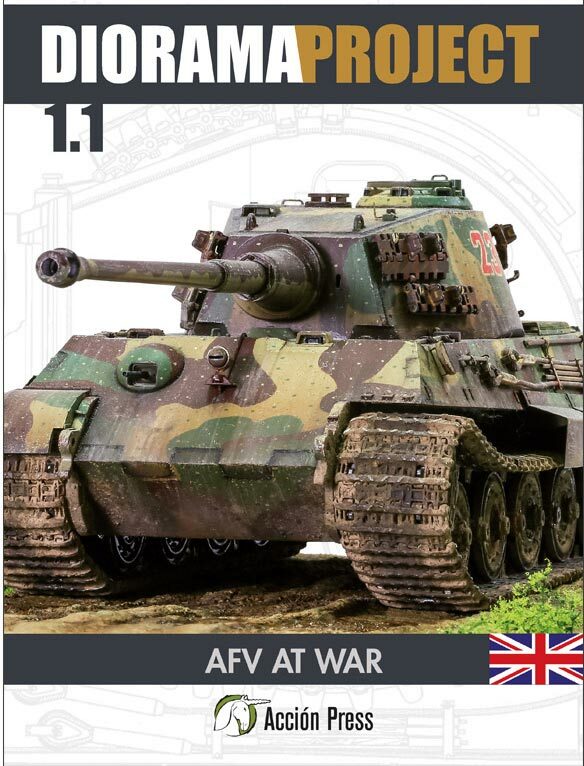 This encyclopedic work is separated in four parts; part one is dedicated to AFV’s, a volume 2 will be dedicated to figures and two more volumes will be dedicated to bases and backdrops/backgrounds respectively. 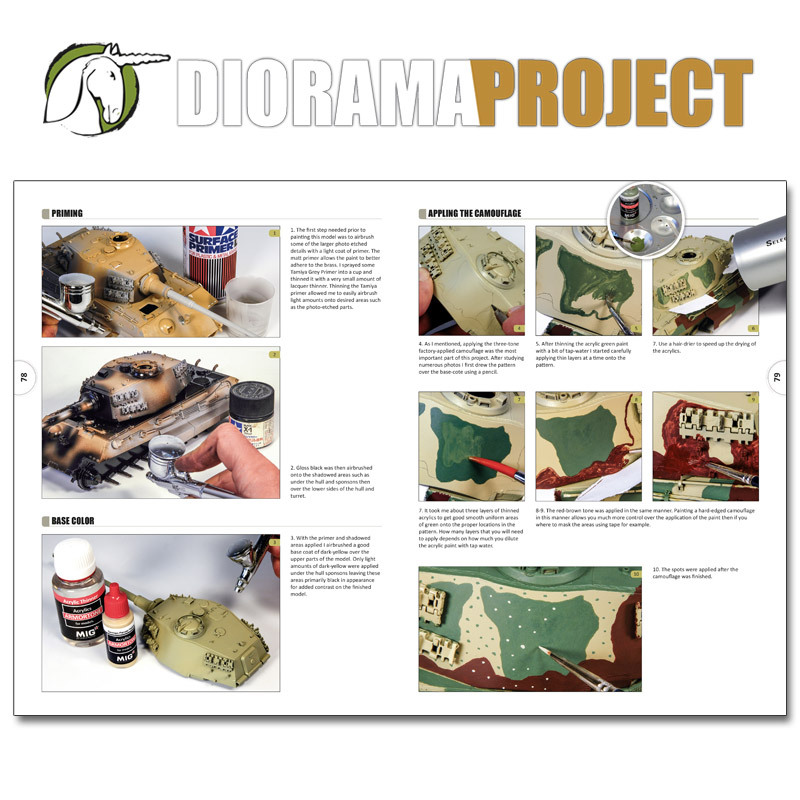 The first part –AFV at War- is dedicated to everything necessary for assembling and painting the most relevant WWII AFV’s in a concrete historical and weather condition context, in an specific theatre.